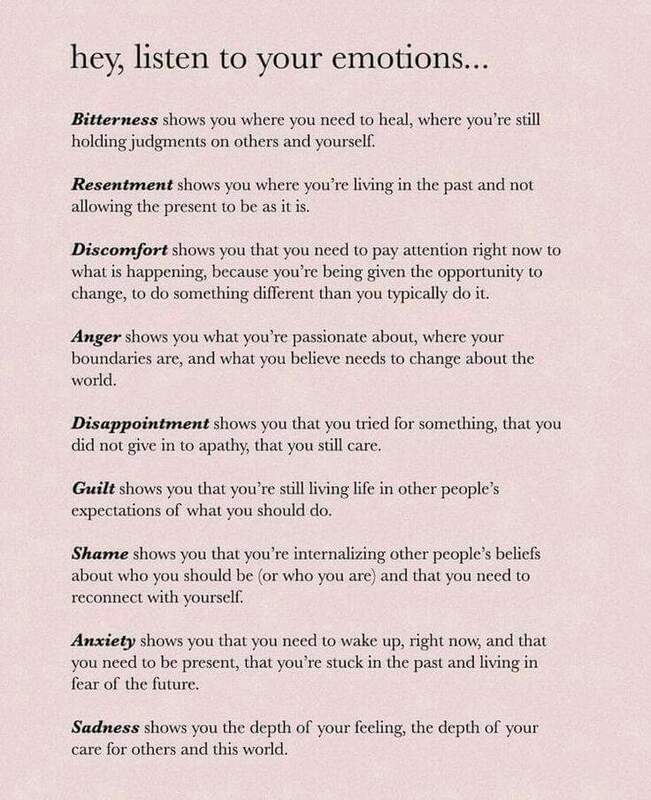 Sometimes we all need reminders to live in the present and tune into our own emotions. Someone posted this lovely little guide on Facebook (I have no real source to this, please let me know if it's yours). I felt like it was perfect for this week, as there are still so many raw emotions out there. Have a great Wednesday. 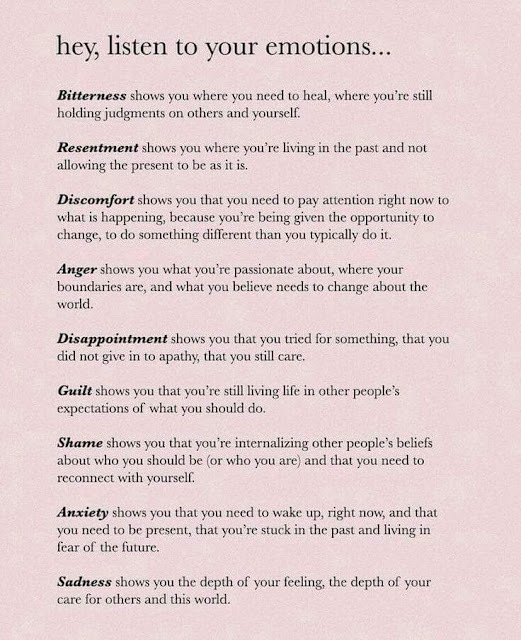 Listen to what your emotions are telling you.